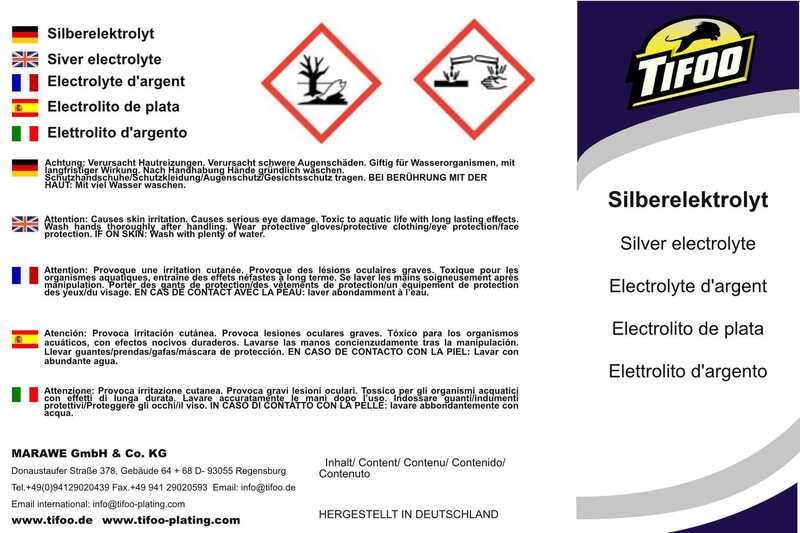 Product information "Silver plating solution"
The silver electrolyte from Tifoo is perfect for tank- and pen plating. This cyanide-free silver electrolyte can be silver-plated by yourself without any problems. Unlike the common industrial highly toxic silver electrolytes, the handling of this cyaninde-free silver electrolyte is safe. It deposits resistant and aesthetic layers made of fine silver. Thin layers will be bright when deposited, thicker layers are white and can be polished with Tifoo Power Polish until they gleam. 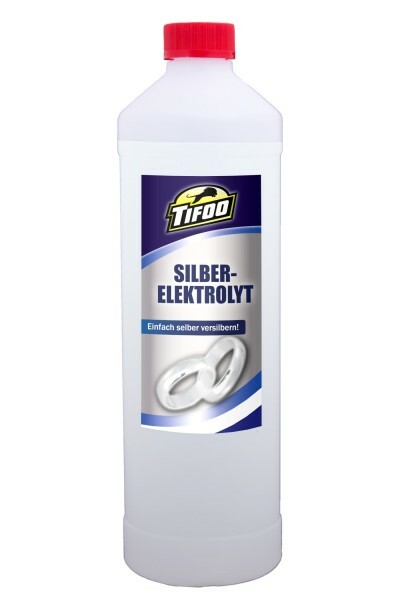 This electrolyte is ideal for silver-plating jewellery, for restoring silver cuttlery and for silver-plating of numerous other objects. Thanks to its high silver content of 30 g per litre, this electrolyte deposits silver very fast - that is a big advantage for pen plating, as it reduces the working time. Non-precious metals like zinc or iron should be nickel-plated or copper-plated before silver-plating. Please keep in mind that shiny silver layers can only be created with a silver anode. These anodes can also be found in our product range. Related links to "Silver plating solution"
Instruction manual for Tifoo Silver plating solution as PDF file. Customer evaluation for "Silver plating solution"